Aquagraphics Unlimited is the answer if you want a jaw-dropping water screen. Aquagraphics Unlimited water screens can be up to 40 modules wide. They are suspended from a lighting rig or similar and create a truly stunning visual spectacle. If you need your reveal, billboard, backdrop or presentation to be more than a little bit different, Aquagraphics Unlimited water curtain gives you the answer. Want to know more? Try our FAQs or simply pick up the phone. 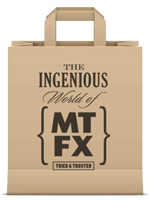 Contact the MTFX team to discuss which Aquagraphics system suits your event.